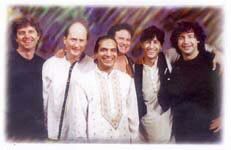 The Ancient Future Indian Jazz program with Pandit Habib Khan features the sitar in unusual settings. While performing Indian jazz fusion in Lebanon with Ancient Future guitarist Matthew Montfort, Pandit Habib Khan was described as the "Jimi Hendrix of the sitar" by L'Orient le Jour , Beirut's French language newspaper. On the Planet Passion CD, Habib Khan adds an element of soulful longing. In concert, this ensemble shows both sides, from slow passion to energetic ecstasy. >YTmusic (Indian Jazz repertoire). 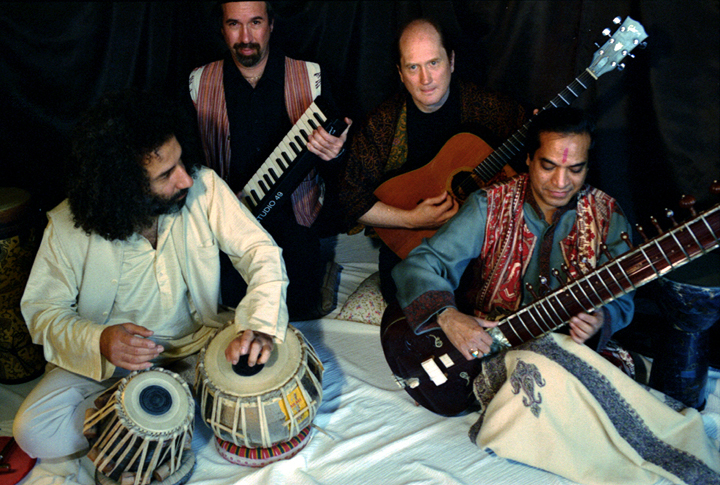 Features Pandit Habib Khan and Matthew Montfort with other top musicians including Swapan Chaudhuri (tabla), George Brooks (saxophone), and Danny Gottlieb (drums). Rose (Habib Khan. 7:43) iTunes. >YTmusic. From Longing by Habib Khan . CD $16.98: Add CD to Cart. Buy CD Now. Socha Socha (Khan/Montfort. 10:34) iTunes. >YTmusic. Indian raga with full instrumentation. From Planet Passion (Ancient-Future.Com AF-2001). CD/Gift Card, $17.98: Add 1 to Cart. Buy 1 Now.